Are you comfortable loading your horse alone? Are you comfortable unloading your horse alone? 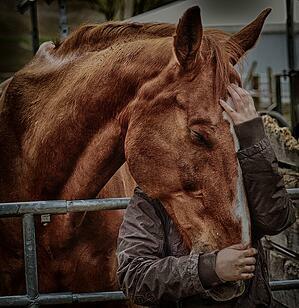 Is your horse comfortable being the only horse in the trailer? When was the last time your truck was serviced? Do you have enough gas, oil, windshield washer fluid, etc.? When was the last time your trailer was inspected? 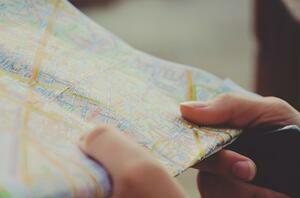 Have you mapped out the quickest and/or easiest route to get to your destination? Do you have a navigation device? Can you bring an old-fashioned paper map with you just in case? Do you know where to park at your destination? Do you know where the show office is? Do you know where the stables are? It may be sunny in Spokane with rain in Seattle, but if you are going over the Cascade Mountains to get there, you can run into a snow or ice storm at the higher elevations. There could be tornadoes forecast along your route in the Midwest or possible flooding in the South. - Make sure you are prepared for anything. 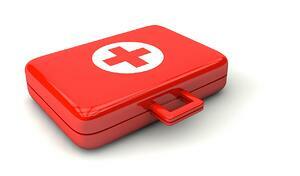 Bring a first aid kit for both you and your horse and know how to use it. Can you unload/load your horse on the side of the road? Consider getting a road-side assistance membership like AAA or USRider. How comfortable are you about making this trip solo? How far do you think you can comfortably and safely drive a trailer by yourself? Remember that you’ll have to drive back home – will you be up for it? Trailering your horse solo can seem a bit daunting at first so start with short trips to build your confidence. With careful planning and some of patience, you and your horse will soon become seasoned travelers.